Leasing a new vehicle can be a fun and exciting experience, which culminates when you drive your new car off the lot for the first time. Before that happens, however, you need to make sure you do everything you can to get the best leasing deals possible. The best way to do this is to start off by visiting one of our five great locations. Here at Car Lease With Bad Credit we have been serving the people of Brooklyn and NYC since 2008 and we are prepared to help you as well. For many people, Chrysler leasing is the perfect choice for getting a great car that they will absolutely love. 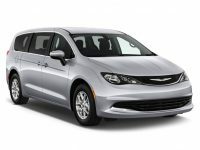 We have a variety of Chrysler models including the Chrysler 200, 300 and Town & Country. We can also order a specific model that has the exact trim package you want directly from the factory. This is a great way to get the exact vehicle you want. We can even delivery the vehicle to you at your home or business if that is more convenient for you. The bottom line is we will do everything in our power to get you the best leasing deals and ensure the entire experience goes smoothly. We work hard to keep our prices as low as possible, which gives our customers better options to choose from. For example, since we have lower overhead than other dealers, we can lower our prices further. 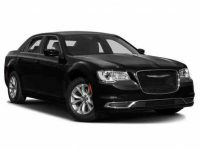 You can then choose whether you would like a lower down payment, or lower monthly payments on your Chrysler lease. We can also work with you to break a current lease if you are no longer happy with it. This will allow you to get into the new vehicle that you want, without having to pay any significant penalties for breaking the lease. Another way we are able to help our customers is by paying top dollar for any trade in vehicles you may have. This can help to cover the down payment, or even eliminate it completely, depending on what youre trading in. In many cases, we can help our customers to find the ideal Chrysler leasing option that will give them the car they want at a price they can afford. We have locations to serve you in NYC, Westchester, Yonkers, Brooklyn and Paramus, NJ. This means that we are always nearby no matter what area you are living in. You can stop in to see one of our auto leasing experts any time to test drive a car, or just to have your questions answered by one of our leasing professionals. You can also give us a call any time and we will be happy to speak with you over the phone or even set up an appointment. 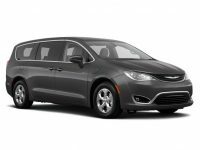 We look forward to having the opportunity to find you the best Chrysler leasing deals that will meet your specific needs. Of course, we also have many other types of vehicles available, so please dont hesitate to contact us to start the leasing process today.